I'm always looking for healthy lunch ideas that I can make ahead and bring to work. I've gone through the sandwich phase, the soup phase and, of course, the not-so-healthy takeout phase. But lately, I've been on a new kick. 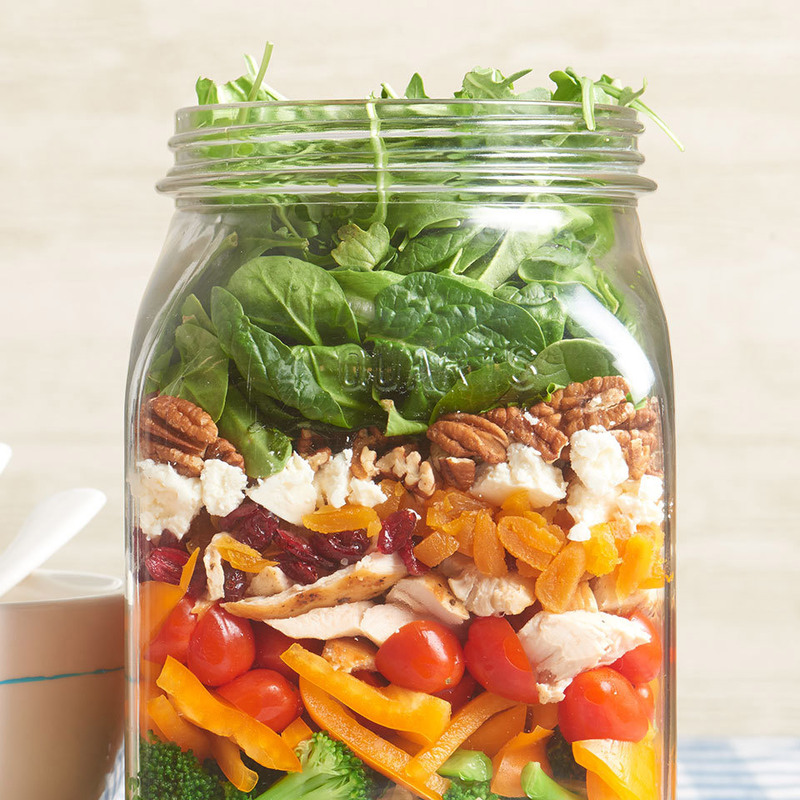 Enter the Mason Jar Salad. 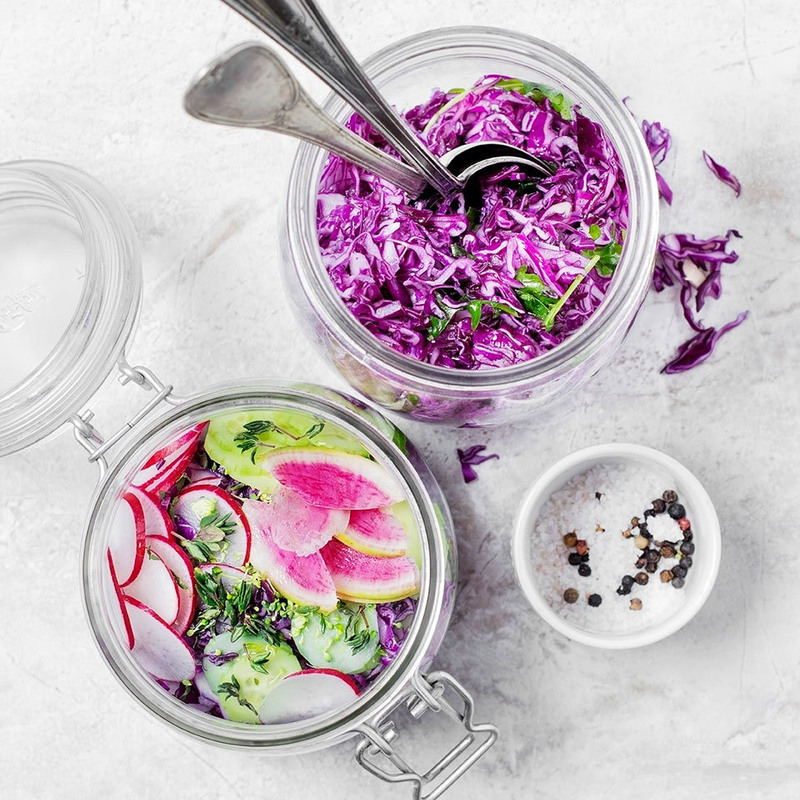 Mason jars are a choice vessel for layering colorful, nutritious veggies. You probably already have some hanging around in your kitchen. They're the perfect size for a single portion (a pint-and-a-half canning jar or larger works best for fitting all the greens and toppings). And if you layer your ingredients right, you'll end up with a fresh and delicious, not to mention pretty darn good-looking, salad. But the best part is you can easily pack several salad jars at once and keep them in your fridge for lunch all week. 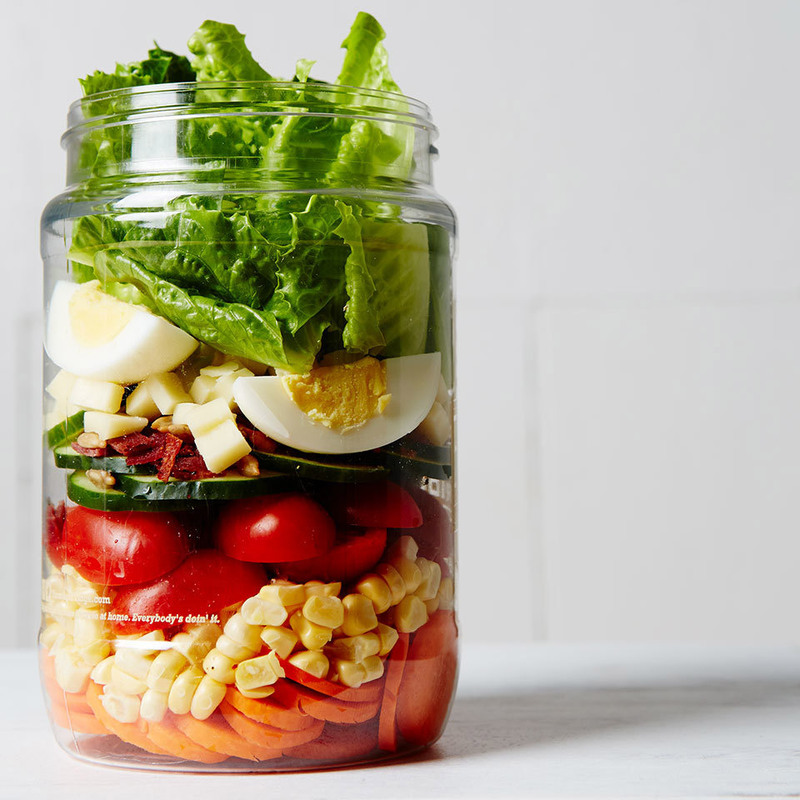 Follow these tips to make the perfect Mason jar salad. 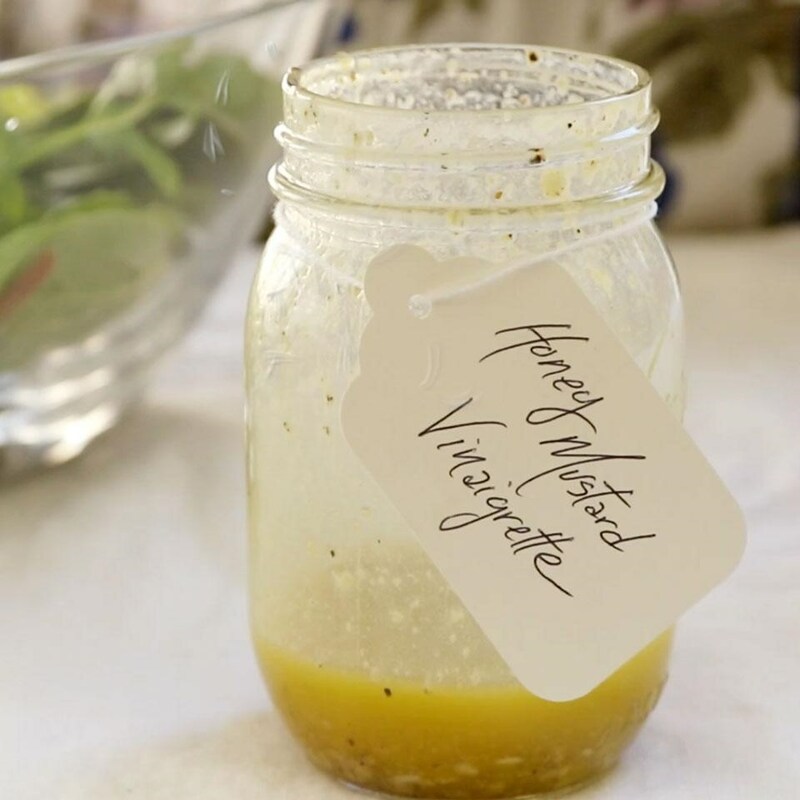 The dressing is the first ingredient you should add to your Mason jar. By placing it on the bottom and putting your vegetables on top, you'll avoid having a soggy salad by mealtime. Layer hearty vegetables, such as cucumbers, onions, tomatoes, radishes, peppers, corn, broccoli and edamame—any sturdy ingredients that will hold up well even if they are touching the dressing. Load up on your favorite protein, such as chicken, shrimp, cheese, nuts, chickpeas, hard-boiled egg or tofu. Whatever your choice, keep it fresh by layering it on top. No salad is complete without some crisp salad greens. Try arugula, spinach, mixed greens, kale, romaine or a combination to top off the Mason jar. Store in the fridge for up to 3 days. When you're ready to eat, give your Mason jar a shake and pour the ingredients into a bowl—or dig in straight from the jar.